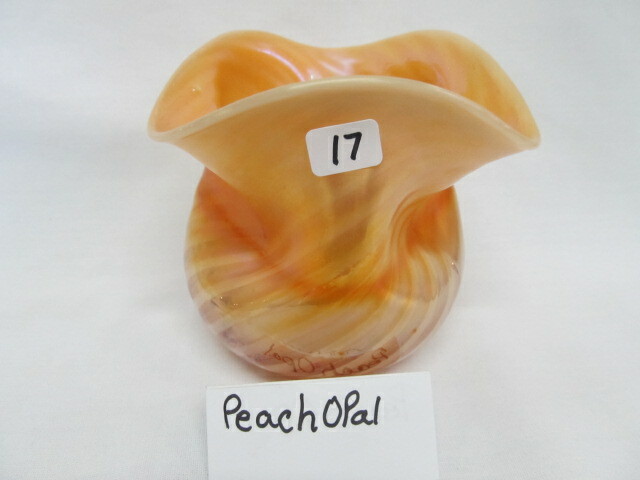 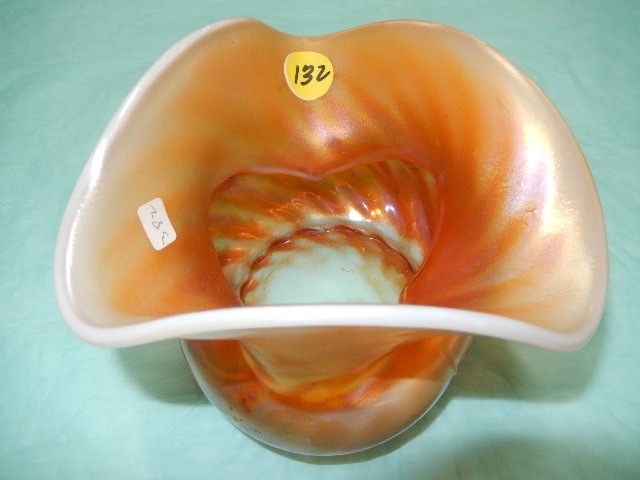 The Pinched Swirl pattern has the swirl in the interior of the pieces. 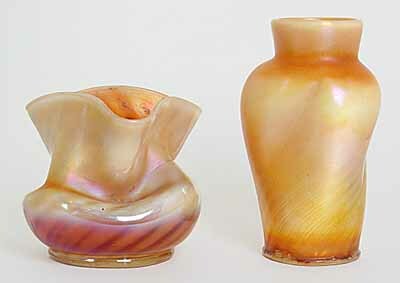 They are found in these two shapes, a rosebowl/spittoon and a vase, 6 to 6 1/2 inches tall. 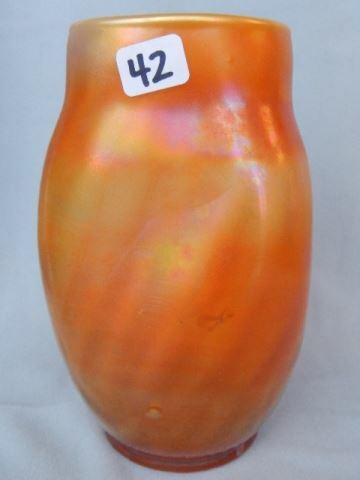 The pair here sold for $70 and $140, respectively, in 2003. 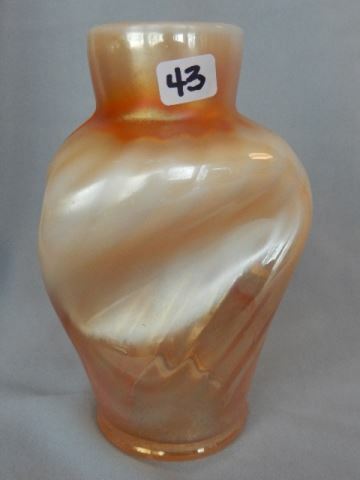 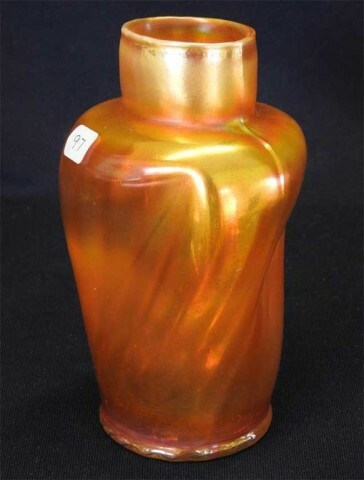 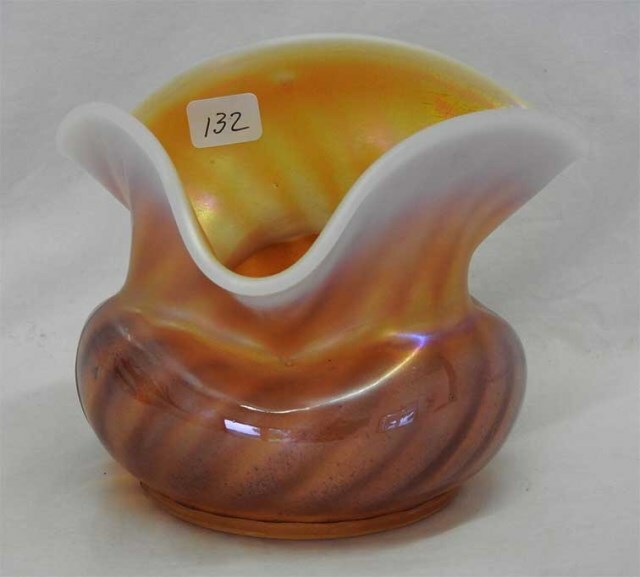 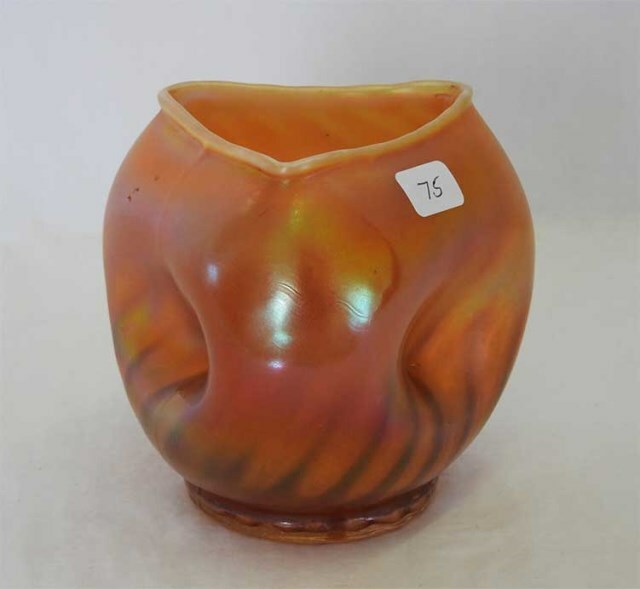 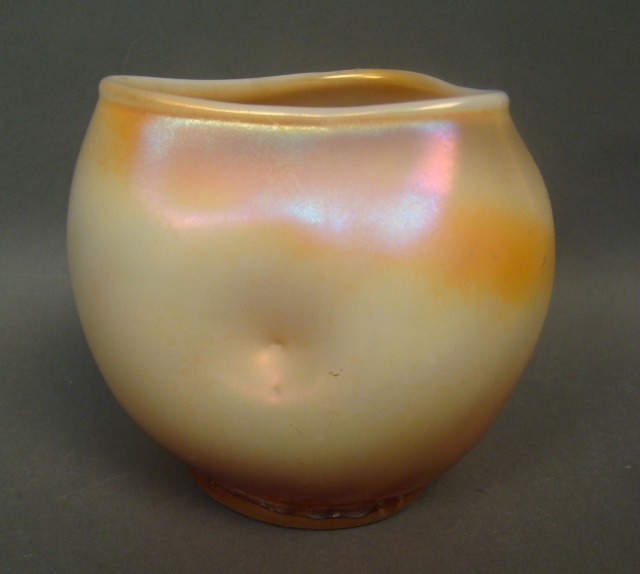 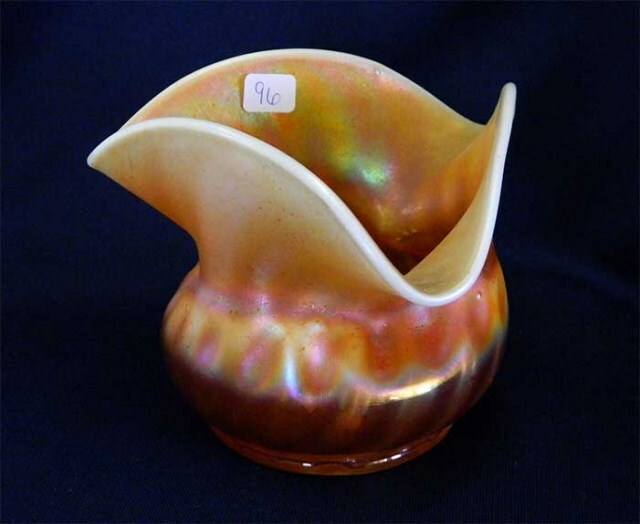 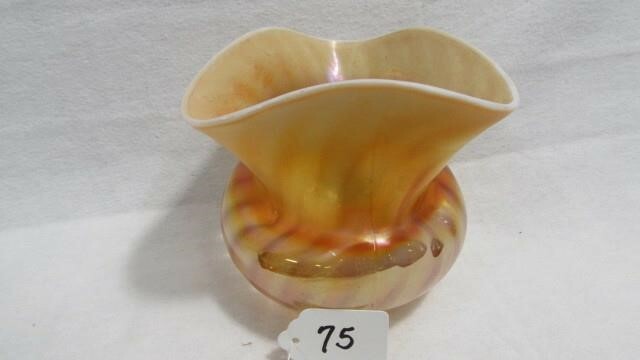 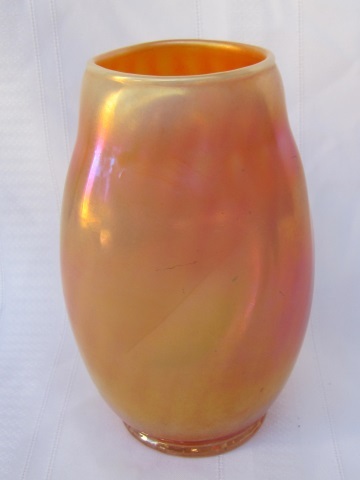 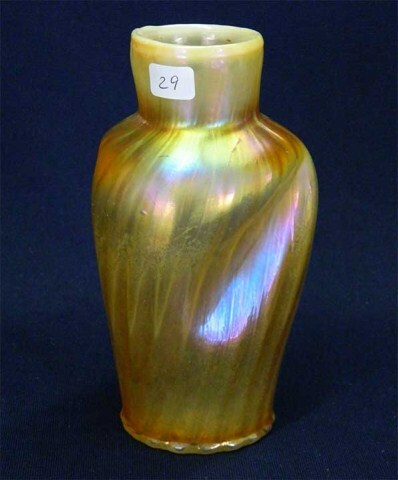 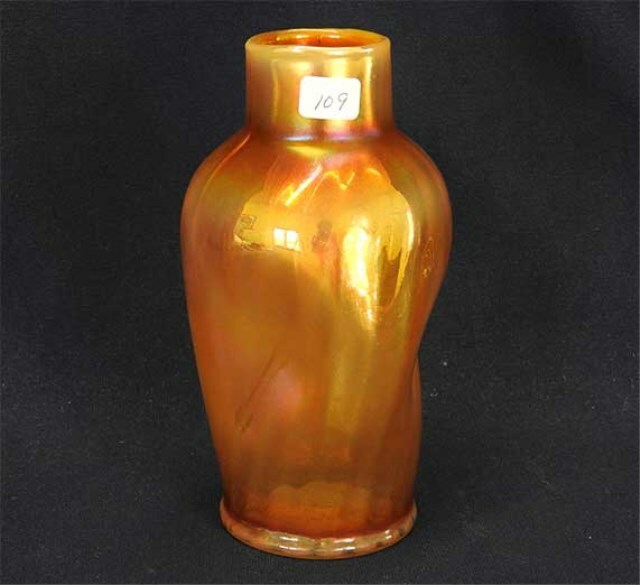 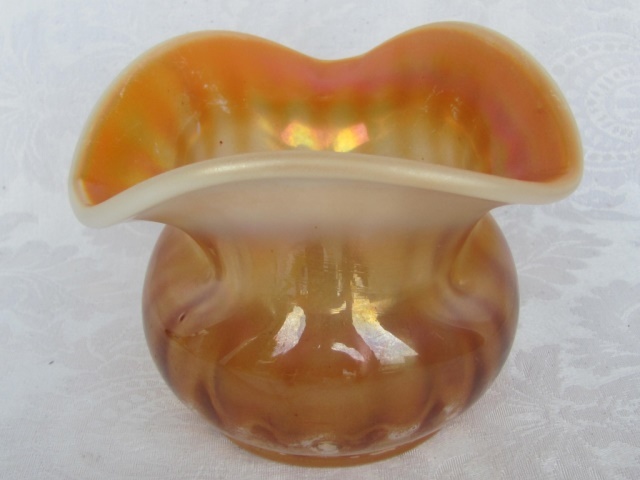 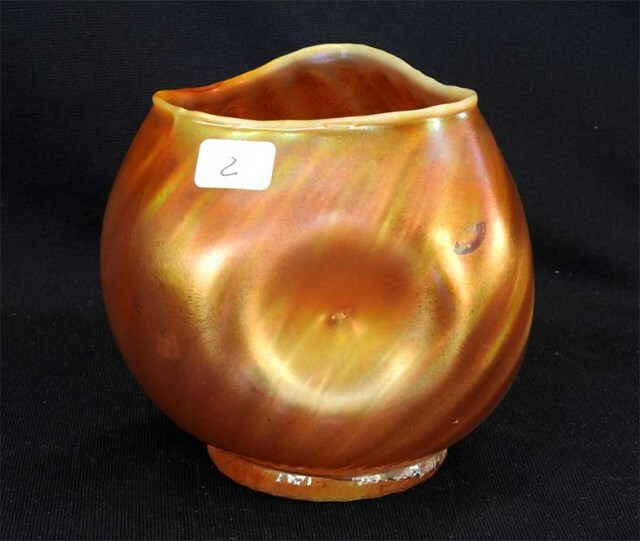 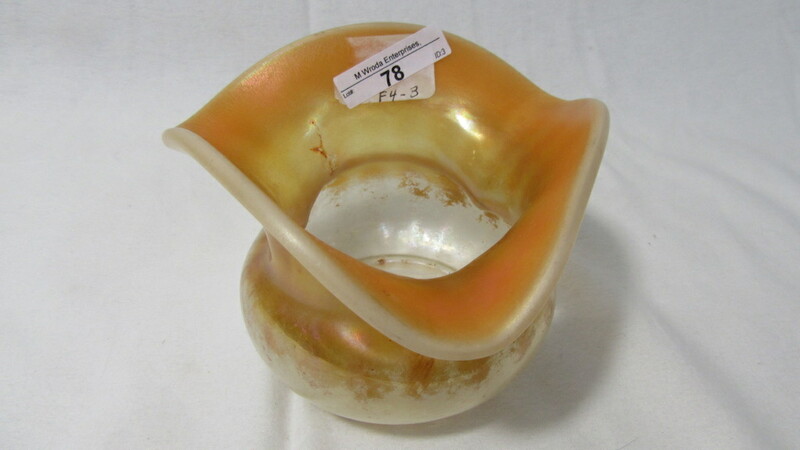 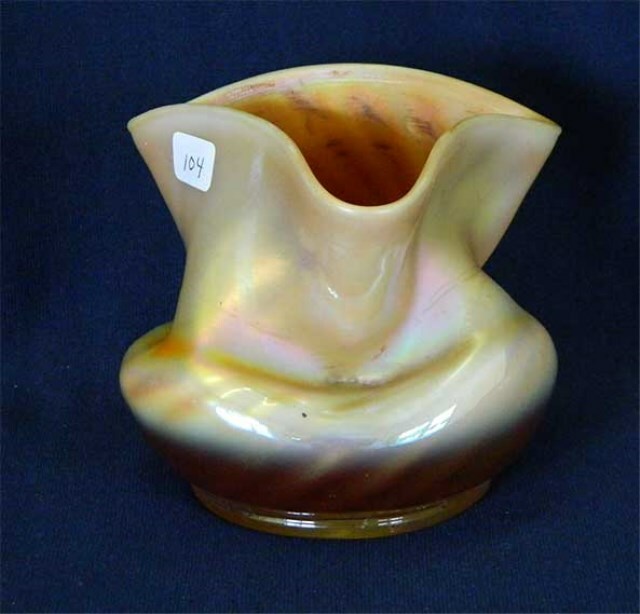 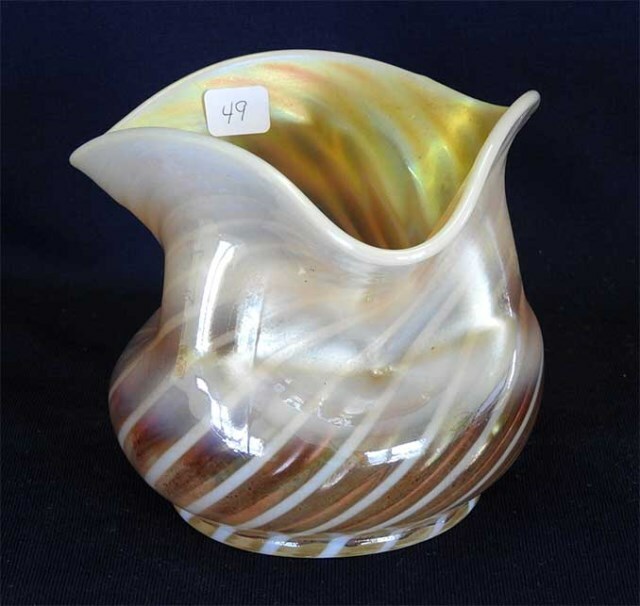 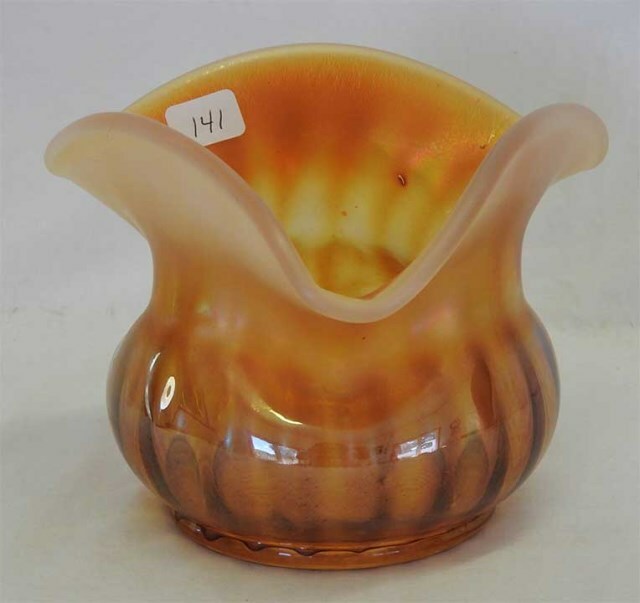 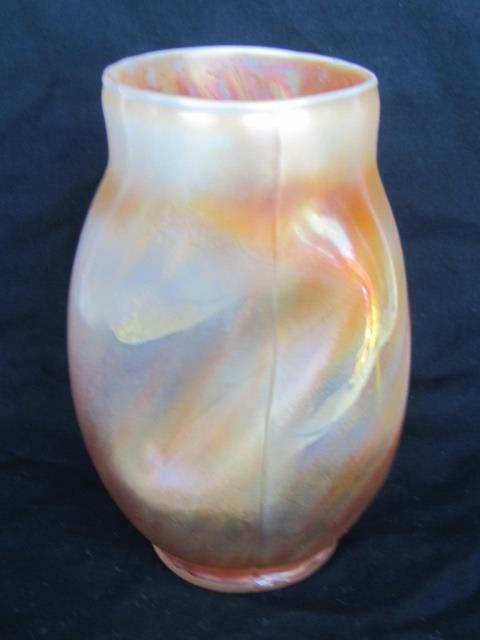 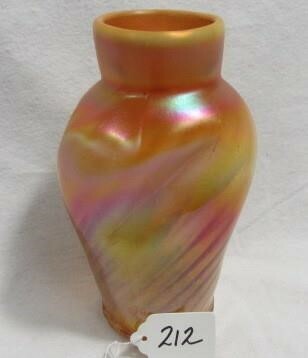 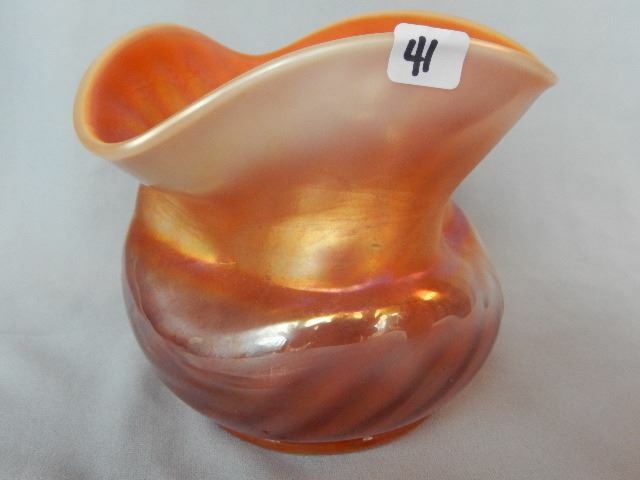 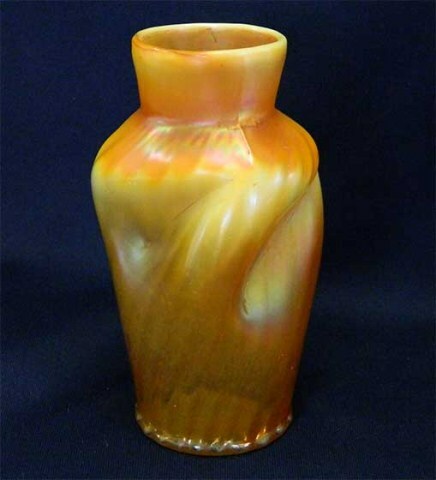 This vase has an unusual soft art glass iridescence. 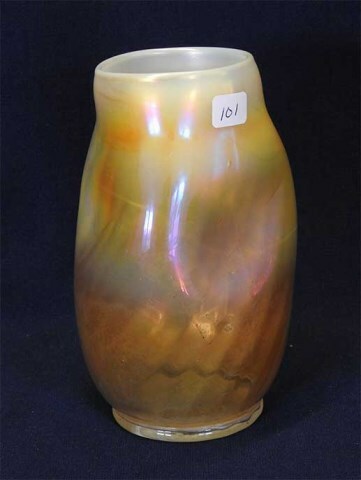 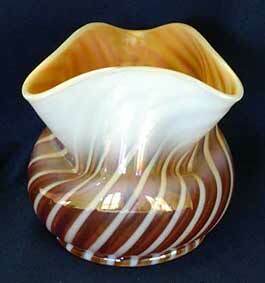 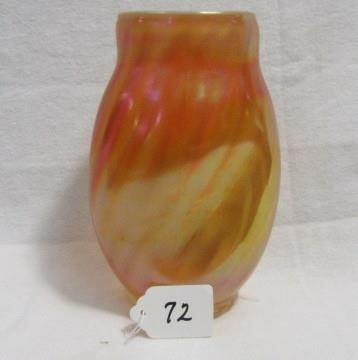 The 4 1/2-inch vase with unusual opal striping on the left sold in 2005 for $125.